Update:This chicken pasta recipe is so good that I was compelled to make it again and update it with better pictures. I promise you it’s easy to make. Heck, I even did it! 🙂 If you make it, let me know what you think in the comments below. 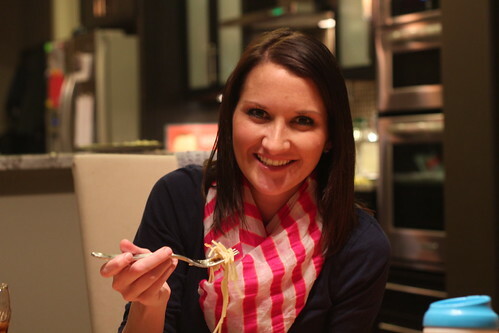 This recent Valentine’s Day I wanted to surprise my wife by cooking a romantic dinner at home. The last several years we’ve gone out to eat at various restaurants have been disappointed with the quality of the food and the price we had to pay for it. 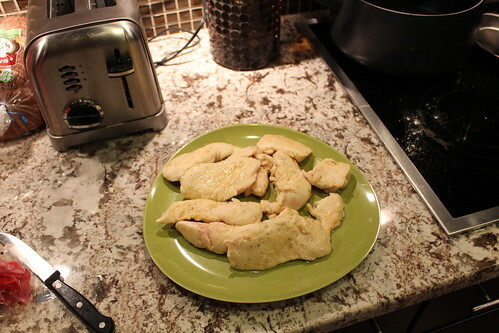 Seeking ideas I hit the web and found a neat recipe for Chicken Piccata at my buddy JD’s blog Get Rich Slowly. He had an article entitled Recession Romance and shared some other neat ideas to celebrate V Day without breaking the bank. When it comes to new recipes, I’m a sucker for any Italian dish, so this recipe was right up my alley. The one slight change that I implemented was I wanted to make it a pasta dish so I added some thin spaghetti to the mix. If you’re looking for a new tasty recipe, I encourage you to give it a try. If you’re looking for a tasty shrimp pasta recipe, head over to Gen X Finance for a recipe I shared earlier. Without further ado, here’s the the step by step instructions as well as an idea on how much it is going to cost. 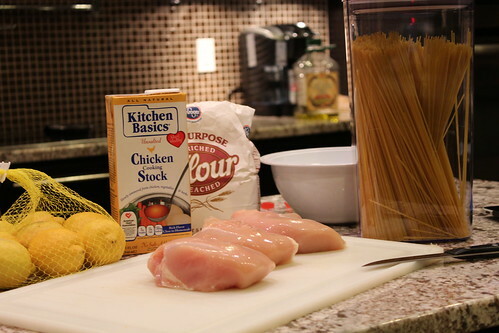 Time to hit the kitchen to try out this chicken pasta recipe! Most of the ingredients are already found in our cupboards, hence why I didn’t include those prices. The only additional purchase was a bagged Caesar Salad that cost $4.49. With the salad included, the entire dinner cost me $14.84. That’s it! It’s the cheapest and probably the best V Day meal I’ve ever had. 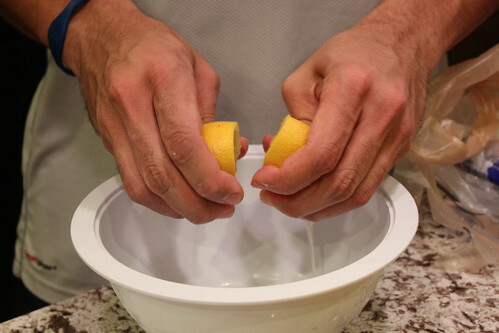 If you’re not a professional lemon squeezer (as I’m not), I suggest you buy a few extra lemons. 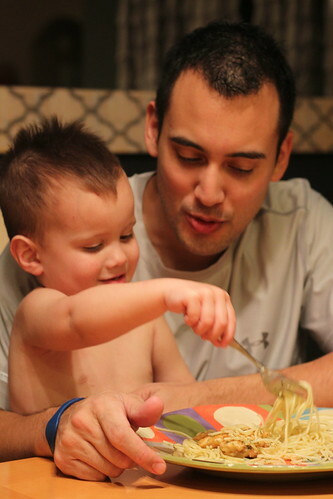 Plus, if you’re using my pasta idea, you’ll need some more lemon juice for the sauce. 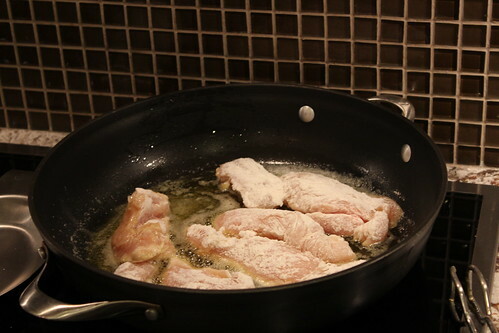 Sprinkle both sides of chicken with salt and pepper. 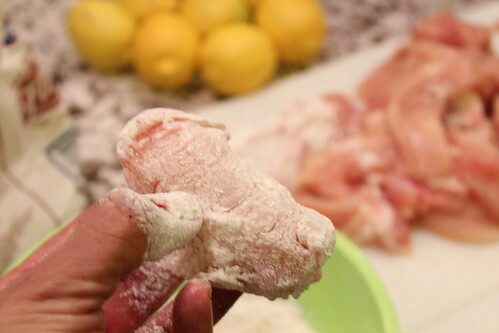 Dip the chicken into the flour to get a decent layer around it. In large sauté pan, melt 2 Tablespoons of the butter with the olive oil over medium-high heat. Add chicken and cook just until browned, 3 minutes per side. Transfer chicken to a plate. At this point in time, you can also start boiling the pasta. I chose thin spaghetti, but any pasta will do. Add broth, lemon juice and capers to the same pan. Here’s where you could add a bit more lemon juice and broth to make sure you have enough for the sauce for the pasta. Bring broth to a boil over medium high heat, scraping pan to get all the good crusty bits. 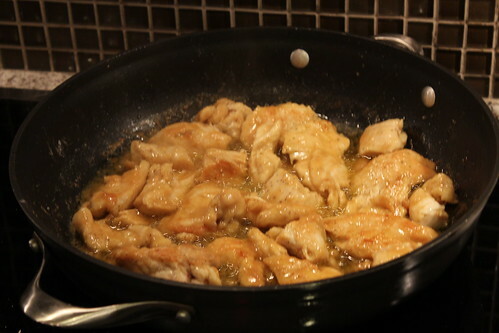 Return chicken to the pan and simmer 5 minutes. Transfer chicken to plates or platter. Remove pan from heat. Add remaining 2-4 Tablespoons butter to sauce, whisking to melt. This is where you want to make sure you have plenty of liquid for the sauce. Since the original recipe that I got didn’t account for the pasta, I literally used every drop of the sauce from the pan. Next time I’ll be sure to add the extra butter, oil, stock and lemon juice to make sure I have enough. 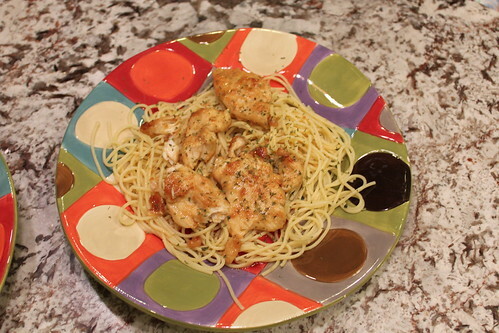 Pour sauce over chicken and garnish with parsley. That’s it! It really is as simple as it looks. It has to be rather simple, because even I pulled it. Doesn’t it look yummilicious? The other true test was impressing the wife. Trying new recipes has the same level of excitement as apprehension, especially on Valentine’s Day. What was the final verdict? Take a look at the beautiful smile below. She loved it! Matter of fact, so did I. I wasn’t sure about the lemon flavor since it’s not in my usual cooking arsenal, but the overall taste was fantastic. Just doing this post, makes me crave it all over again. Give it a try and tell me your thoughts. Nothing like getting some feedback from the readers. Im definitely trying this for my next dinner meal! I will however sub salt and pepper for garlic salt and lemon pepper just because I already have them in stock. 80% of my household also doesnt like capers, so I dont know if I will sub something in place of it or just cook without it this time. haha great stuff! Might try this one soon. Gah! I love great food. Especially if it is cheap! Thanks for sharing! LOL! You crack me up Jeff. “Roths and Recipes”. That should be your tagline! 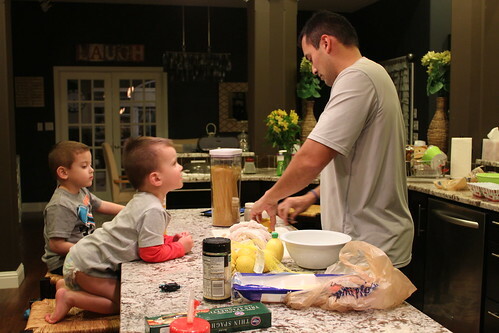 Apologize for the late reply on your post— but that looks awesome, and I am always so impressed with a man that cooks….husband is from the dinosaur age and loves to see ME in the kitchen, LOL. Jeff, I am coming over now – and am hungry – so get started on it for me! Jeff not the healthiest meal though. I would avoid wheat whenever posssible. It is generally GMO and really doesn’t do the body good even if it is not. Saving For Retirement - When is "Late", TOO Late?